Experience the Netatmo security ecosystem that makes your home safer. The Smart Indoor and Outdoor Cameras protect your property, while the Smart Door and Window Sensors offer an added layer of security. The Smart Smoke Alarm protects your home against fires. This application requires that you have a Netatmo camera or the Smart Smoke Alarm. Visit netatmo.com for more information. The Netatmo Smart Outdoor Camera* detects people, animals and cars and alerts you immediately if there is an intruder on your property. • It protects you day and night with its integrated smart floodlight. The light is triggered if it detects a person to deter unwanted visitors from entering your home and to help you find your way. • The alerts are very precise (animals, people and cars) and can be customised to suit your needs (one area). There are no false alarms. You are alerted only about items of interest. 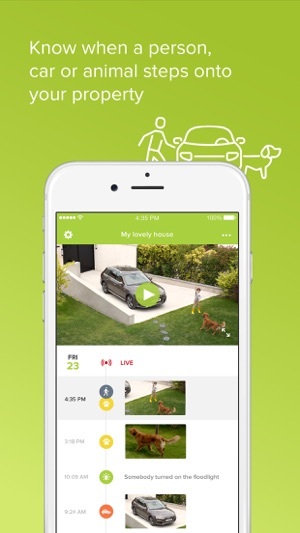 • No subscription fees are required to access all of the camera’s features and updates. • It simply replaces an outdoor light, and you can install it yourself in just a few minutes. The Netatmo Smart Indoor Camera* with facial recognition identifies known faces in your home and alerts you immediately of any unknown faces. • It detects alarms (smoke alarm, carbon monoxide alarm, intruder alarm or siren) and sends you a notification along with a video to better protect your home. 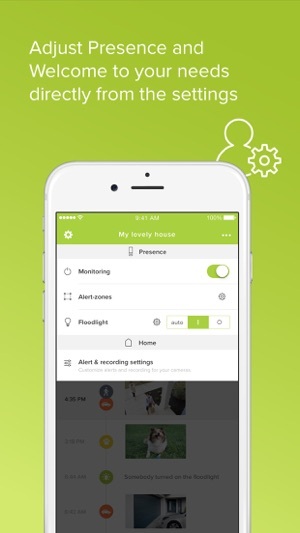 • The option to disable video recordings and notifications gives you peace of mind in protecting your privacy at home. • It features exceptional Full HD 1080p image quality, a wide 130° field of view and superior night vision with a stylish design thanks to its anodised aluminium shell. • Installation is quick and easy. 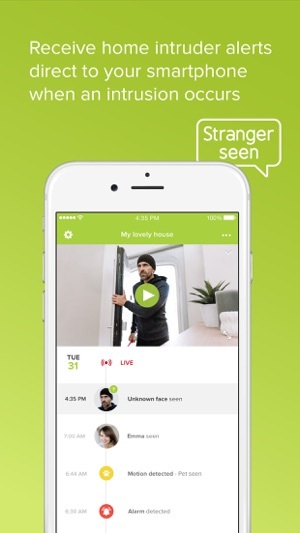 Add Netatmo Smart Door and Window Sensors* to the Netatmo Smart Indoor Camera to save precious time in the event of a burglary. • They detect vibrations, allowing you to act even before an intrusion occurs. • They detect open/closed positions so that you can be alerted when you forget to close a window. • Installation is very easy. Simply affix the sensors to any door or window. The Netatmo Smart Smoke Alarm sounds at 85 dB in the event of fire and sends an alert to your smartphone in real time if you are not home. • You can react to a fire immediately, even if you are not home, thanks to alerts sent to your smartphone in real time. • The 10-year battery* gives you peace of mind because you don’t have to change the batteries for a whole decade. • Installation is very easy. Simply screw the Smart Smoke Alarm into the ceiling. • With the ‘self-check’ function, the alarm continuously checks its own smoke sensor, battery and Wi-Fi connection. You are immediately notified on your smartphone if something is wrong. • The Smart Smoke Alarm can easily be disabled from the application, and it can be turned off on the product. *Life span for typical use. The battery’s life span may vary based on the use of the Smart Smoke Alarm. Netatmo security products for complete peace of mind, protecting your home from the inside out. 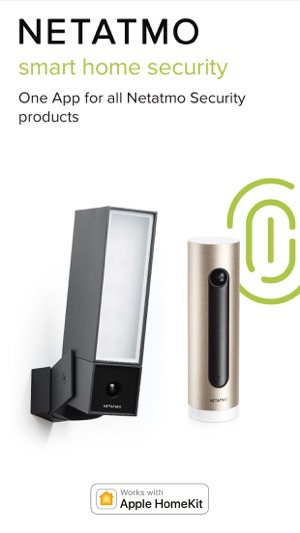 Find out more about Netatmo security products by visiting www.netatmo.com. We continuously improve the app to fix bugs and provide you with the best user experience. Th soft needs to have a log showing devices which log into it - currently there is no way to tell who is watching!!! Is it only me and mu devices or has someone managed to break in?!?! Another issue - recognition of faces is crap - i have been using the device for several weeks and it still doesn’t recognise me. Same goes for inability to recognise and filter out faces on a tv screen!!! Please adress this issues asap! Every thing is Ok, both the application and camera work well. Great hardware and software. Needs some updates but still worthy to buy. Feel more secure with both cameras on.